1.Heat quinoa and rice as label directs; cool slightly. 2.In large bowl, toss quinoa, 50/50 mix, oranges, apple, onion, chickpeas, walnuts, sunflower seeds and vinaigrette. 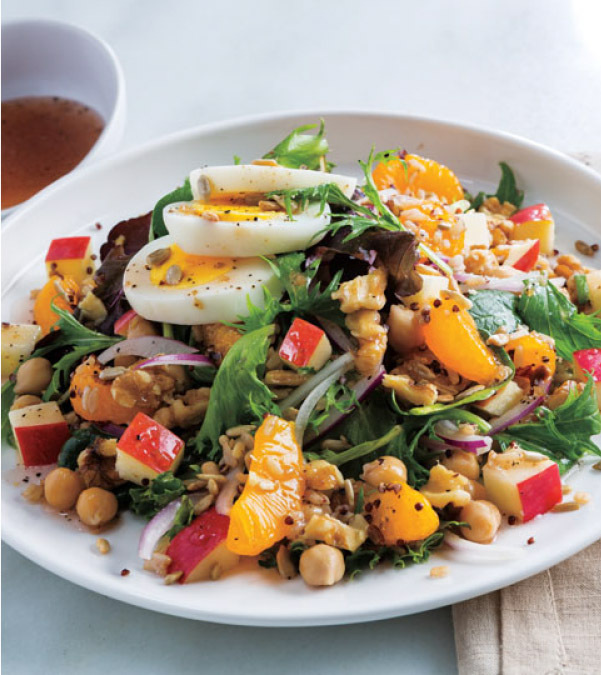 Serve salad topped with sliced eggs. fragrant and lightly browned, stirring frequently. Transfer walnuts to plate to cool completely. > Add a lean protein such as grilled chicken or shrimp to the salad for a complete meal.